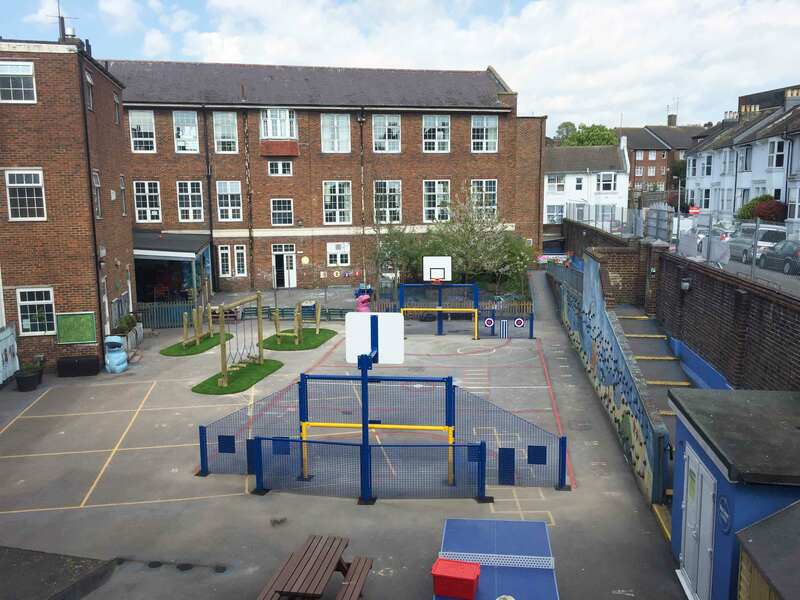 The first area for improvement was the existing sports court. 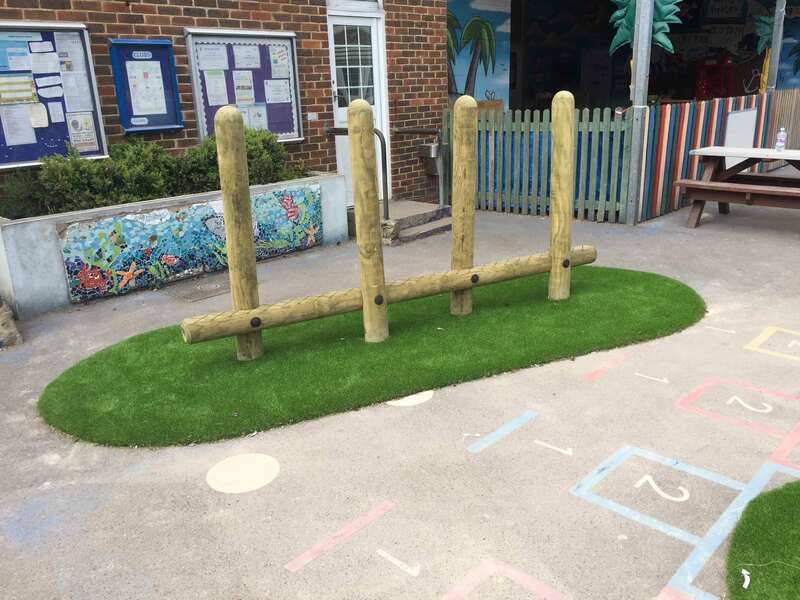 At the time of design all that existed was a timber ball wall each end, these were removed and the ground repaired. 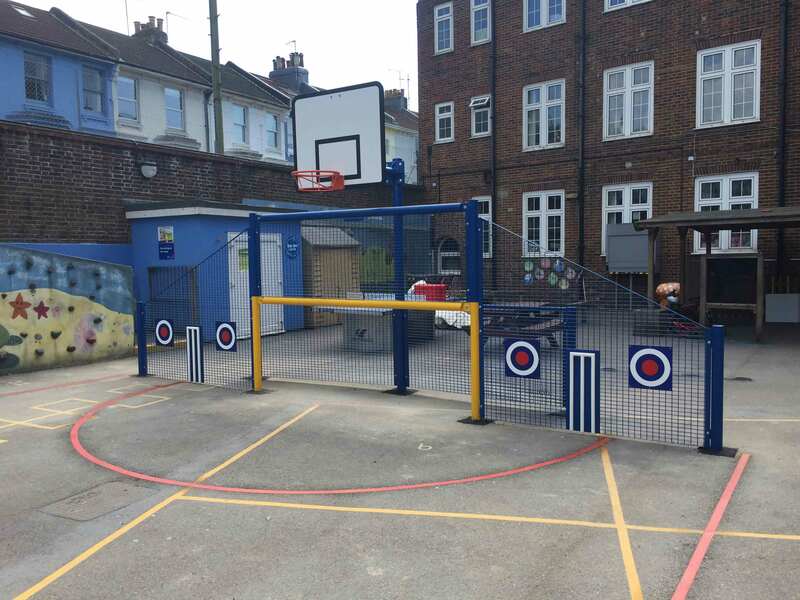 To capture the essence of the amount of sport played in this area we had to make sure the new goal walls would make an impact, we installed our 7.4m Wide Multi-Use Goal End either end of the new court. 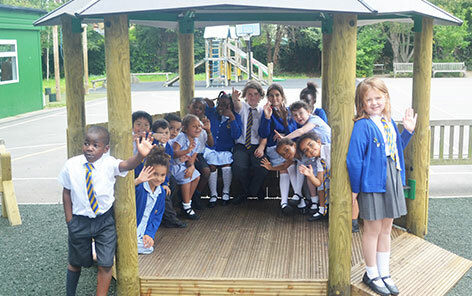 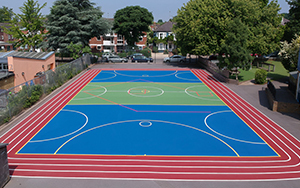 They include a full 7.4m long back panel giving the children a semi-enclosed court to play with. 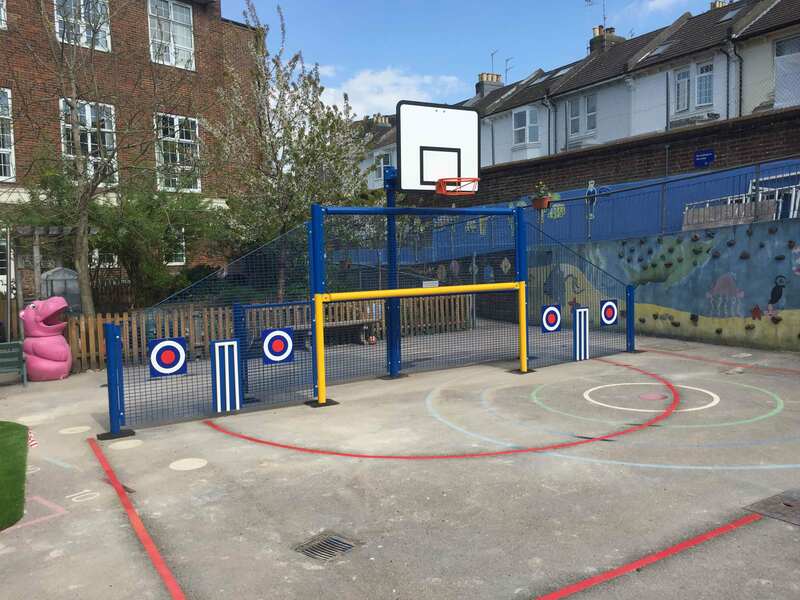 Each goal end comes with a goal, basketball/netball hoop and cricket and target panels. 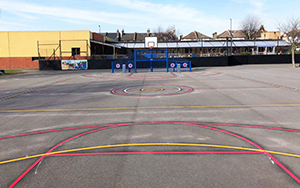 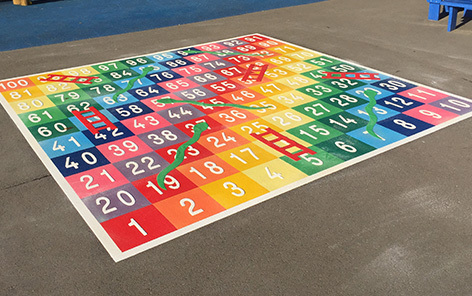 Using a contrasting colour of Thermoplastic Ground Graphic Lines a full 14m long court was completed for Football and Netball. 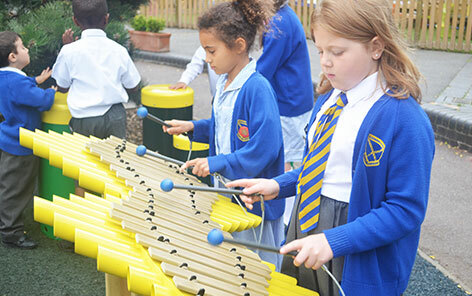 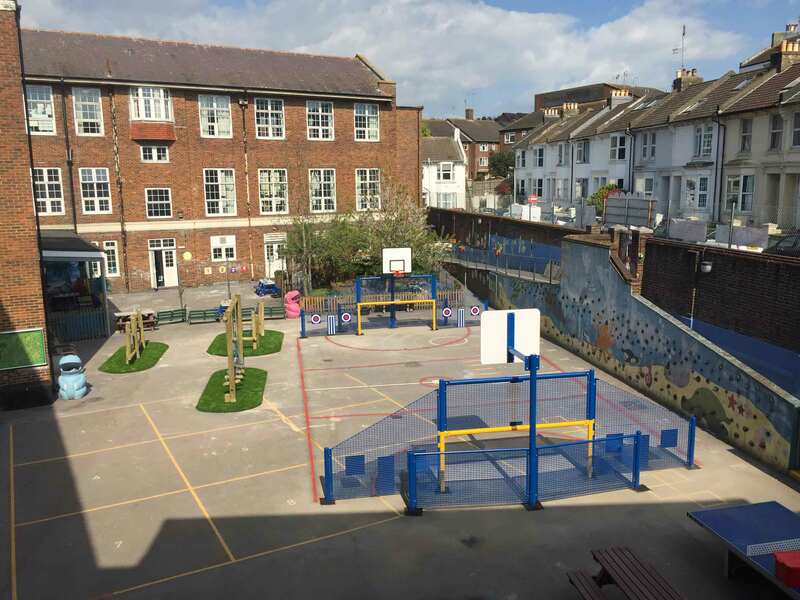 On advice from the school it was clear that they wanted a good selection of balancing and traversing activity units for the children but also wanted to use the structures to create a channel of traffic when not in use. 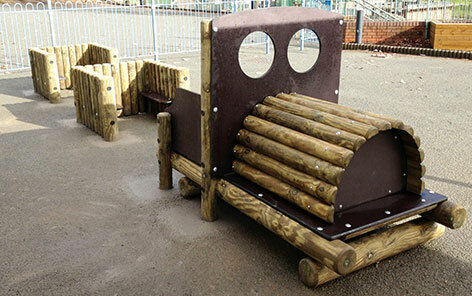 Our Adventure Trail units were perfect for this and a Balance Weave, Log Crossing and Burma Bridge were chosen. 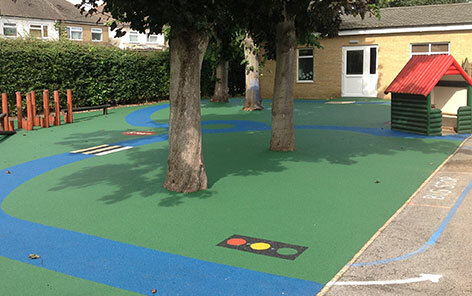 All units were arranged in a parallel formation to create a natural pathway when not in use. 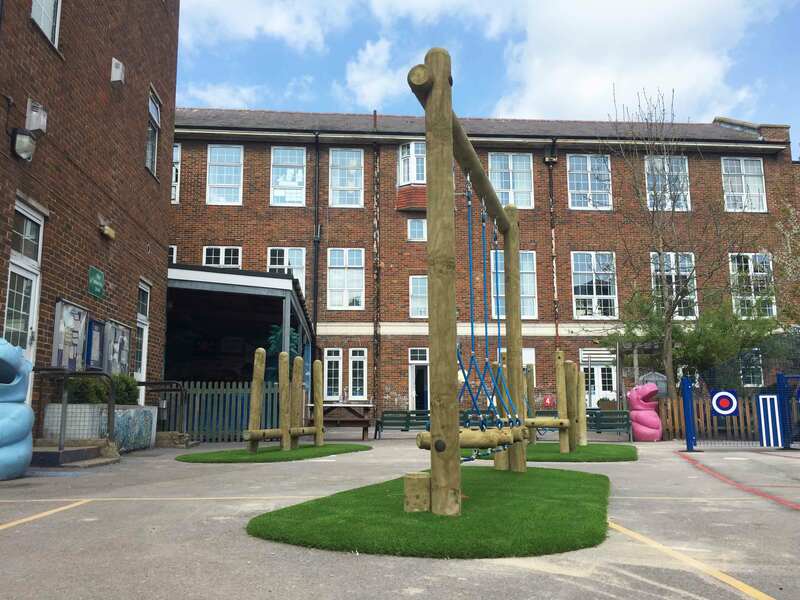 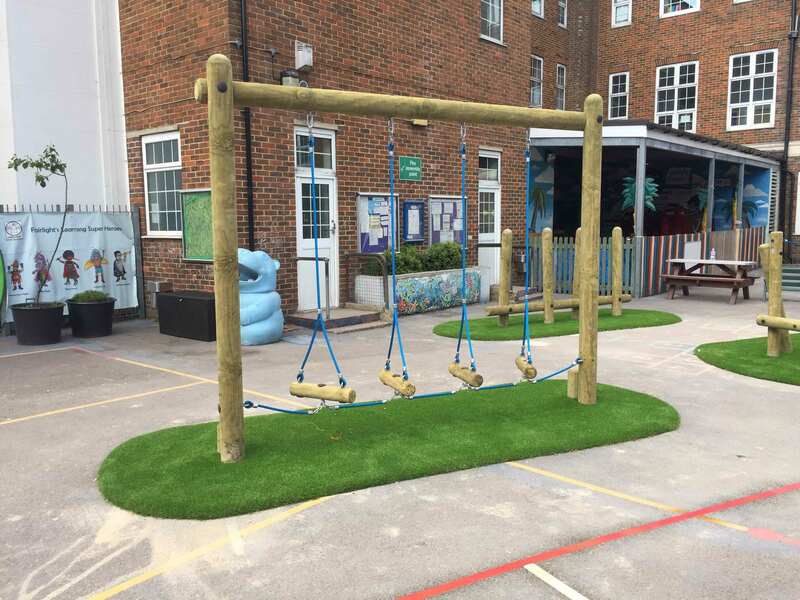 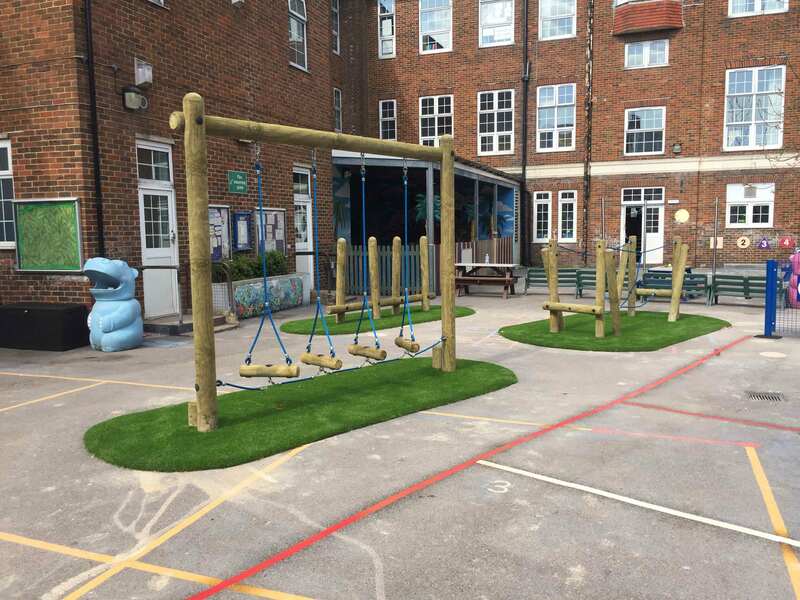 To add a natural and appealing feel for the children, their once tired and hard tarmac surface was improved with islands of 35mm Luxury Ludo Artificial Grass with a 10mm Shockpad underneath. 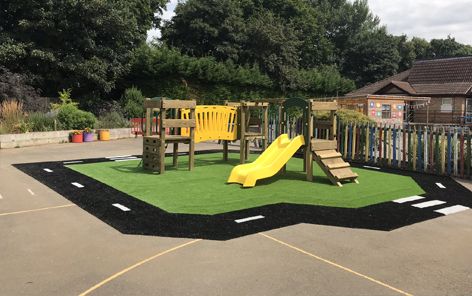 The new sports court provides a dedicated area for the children to take part in Football, Netball, Basketball, Cricket and ball games. 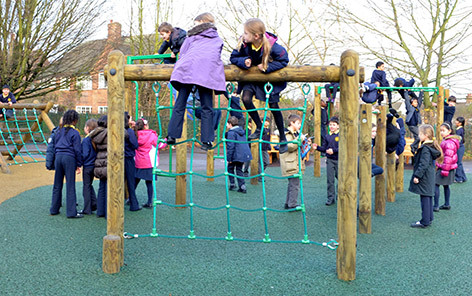 All of these activities will help them improve their physical activity whilst honing a range of skills including upper and lower body strength, cooperation in a team and natural competitiveness. 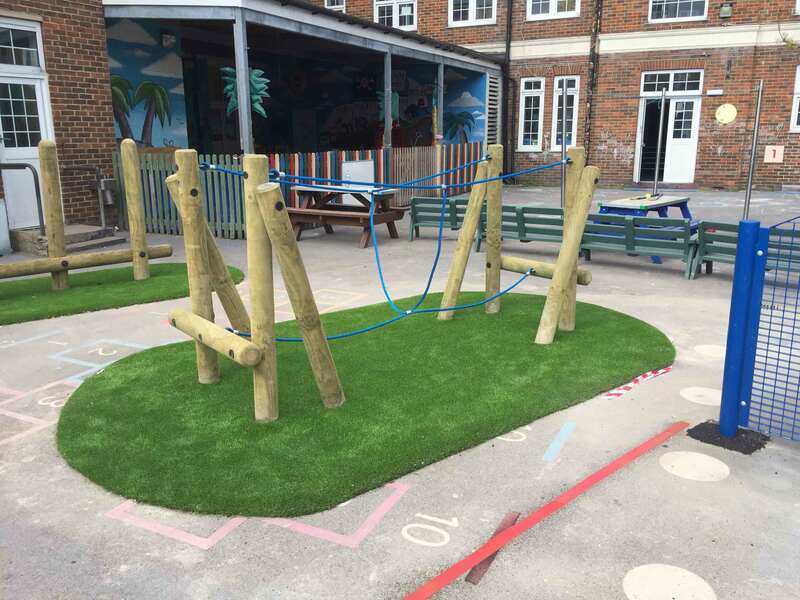 The new Adventure Trail area offers them the opportunity to develop balancing, traversing, climbing and hand-eye coordination whilst improving their overall health and well-being.